I’m very happy to announce that the newly updated version (1.5) of the HWA Members Handbook is now live. Key changes include updates to all links and contact information for the recent Web-site migration and an all-new section on the Mary Wollstonecraft Shelley Scholarship and the Horror Writers Association Scholarship. In addition, you’ll find plenty of helpful information about the benefits of HWA membership, HWA-sponsored events, the Bram Stoker Awards®, writers’ resources, HWA social media, and much, much more. Many thanks to Greg Chapman for designing the Handbook! Please give it a look and download a copy for handy reference. 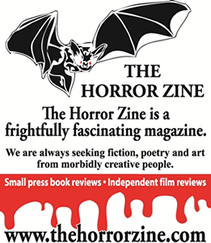 Log into the Members Area and find the handbook here: http://www.horror.org/private/handbook/index.htm.